Since the lamination process simply is the fusing together of two or more types of materials, and sealing them, the world of laminate flooring is full of choices. 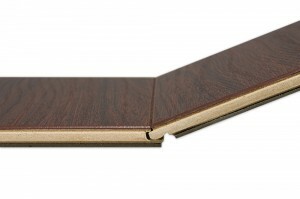 Wood, stone and tile are some of the most popular uses for lamination. 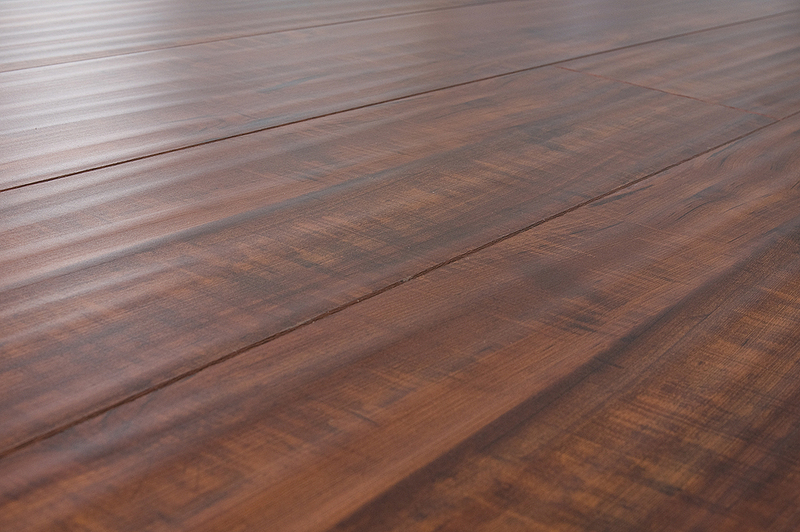 Any type of grain and color of wood or layout of stone or tile can be captured, laminated and split into easily-assembled planks from which you can create a floor. The sky is the limit, sometimes making it difficult for consumers to settle on one choice. Here’s one way to think about laminates—to divide them into different types and to try and settle on which type of laminate floor will work best for your project. 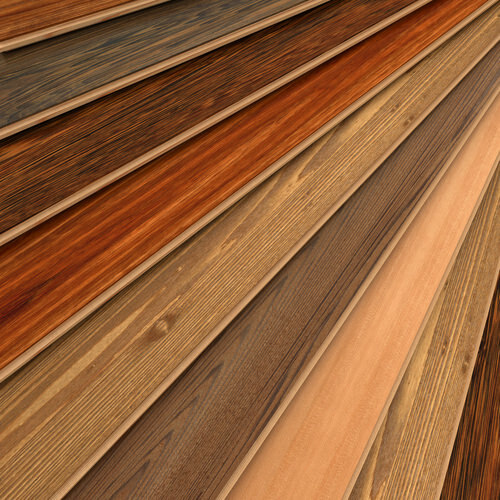 So, What Are The Different Types of Laminate Flooring? You may want to pick your floor simply based on what the surface will look like. As we’ve said before, laminates are always evolving. Where there once was one basic surface to choose from, now there are many. For those who look for durability as a way to decide on a laminate product, the AC rating is an ideal guide. Use it to check your expected usage, or foot traffic, against what the floor was built to withstand. AC stands for Abrasion Class and an impartial 3rd party has set the standard for 5 different categories of use and durability. As a general rule of thumb, the higher the AC Rating, the higher the price. 18 Did you find this article helpful? So how about your E1 standard laminate floor? Can it reach the standard of WHO? Thanks! Is there something called “Engineered Laminate” flooring. The builder is saying that he will install engineered laminate This has the similar backing as on engineered Hard wood. The only difference being that the top surface instead of being hardwood layer is made of man made plastic. Is this believable or just a nice sales pitch. Honestly I have never heard of Engineered Laminate. Your input will be highly appreciated. The builder may be referring to “laminate flooring” which is a replication of wood (or stone) patterning, and is installed in a similar way by the floating floor method. “Engineered laminate” is something of a misnomer. 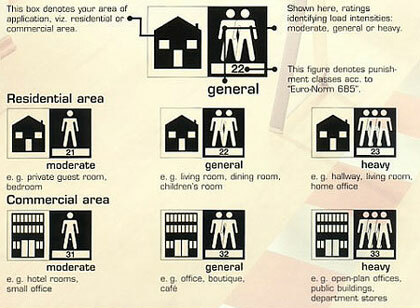 Our home is on 3 levels. The kitchen is on the second lower level. Since it is an open floorplan the tops of the upper cabinets are visible from the higher level. In addition, they receive a significant amount of direct sun. The previous owners installed an inexpensive, finished plywood on top of the upper cabinets in an effort to make them look finished. I was thinking of installing laminate flooring on top of the plywood. Would the laminate hold up to intense sumlight? I was thinking the laminate would look much nicer and be much easier to dust and clean. Am I right or is laminate not sutable for this application? I would like to install laminate floors in my basement. Is it a good choice for people that suffer from migrane headaches and other allergies. I would like to install laminate floors in my basement. Is it a good choice for people w/allergies and migrane headaches. Hi, What is the best type of wood flooring to use that will not get damaged be water? This will be where you walk in and out to the pool outside its also a party house(guys only) so you know it’s not going to get cleaned up or cleaned a lot. I noticed this question has been asked but could not find the answer. We plan on installing laminate in my Sister’s Condo. She is in a wheelchair (not motorized) and travels throughout her condo. I was planning to put in AC3 – Will this work. 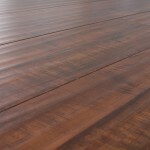 I need about 425 square feet of laminate,would like revolutions plank 26402 Louisville hickory nutmeg,or something very close to this product,and the price per square feet. Is there any type of wood flooring to use in a bathroom? Would a tile be best to use? 1. What kind of laminate resists moisture from above? Someone mentioned waxed edges. I need to know more about that, please. 2. I have pets–cats and dogs–who have paws with claws and love to run and romp in the house. Is there a laminate that resists scratches from claws. 3. Someone mentioned vomit and urination possibly marring the surface of their laminate floor . Would an expert respond regarding those two issues. Thank you. We are trying to decide on the type of flooring to get…vinyl or laminate.